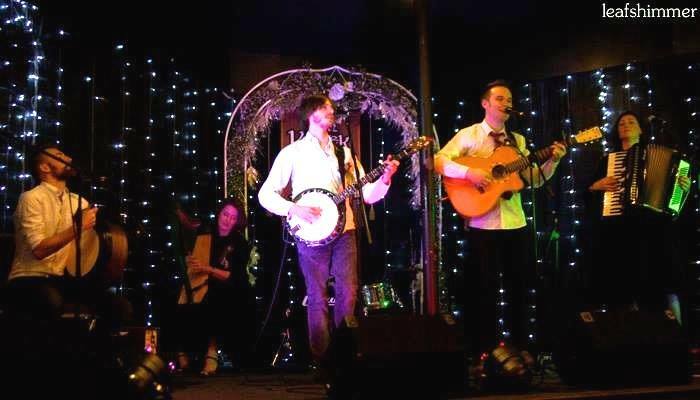 The battle to establish a Cornish representative at the International Pan Celtic Festival in Doire (Derry, Northern Ireland) for 2015 was won by Looe-based folk band: The Changing Room, which translates into Cornish as ‘An Stevel Wiska’, this past week. The festival was first held in 1971 and aims to promote the modern Celtic languages, cultures and artists from all six Celtic nations: Brittany, Cornwall, Wales, Ireland, Scotland and the Isle of Man. Cornwall’s entry in the festival’s song contest was decided at the Kan rag Kernow event organised by MAGA – Keskowethyans an Taves Kernewek / Cornish Language Partnership held at the Penventon Park Hotel, Redruth on 30th January. The Festival will be held in Derry over April 22-27. Seven bands fought for the honour of representing Cornwall including The Grenaways, Goslowes, Mike O’Connor and Barbara Griggs, Salt and Sky, Leanna Stacey Music, Jo Tagney and Liz Davies … and The Changing Room; who took the title on the night. The winning song, Hal an Tow, was written by band members Tanya Brittain and Sam Kelly, and performed in Cornish.